Part of the Chesky Binaural + Series, all recorded with a single microphone, the group appears right before you with this spacious, lush and multi-dimensional recording. Now headphone users will hear the same three-dimensional sound and imaging as audiophiles have for the past 25 years with Chesky Recordings. Also these new Binaural+ Series albums capture even more spatial realism for the home audiophile market, bringing you one step closer to the actual event. You will hear some of the most natural and pure music ever recorded. Dynamic percussionist Mangue Sylla returns to his West African roots, first visited on his 2007 debut recording Kon Koura. The Guinea native’s traditional drumming style showcases his profound mastery of the country’s distinctive percussive instruments: the sangban, doundoun, and djembe. Dunnun Kan is rich with the great strides made by Sylla in the eight years since releasing Kon Koura; his playing is more masterful and electrifying than ever before, yet he still delivers the familiar history and rich stories of his native Guinea, drumming like an artful archivist. 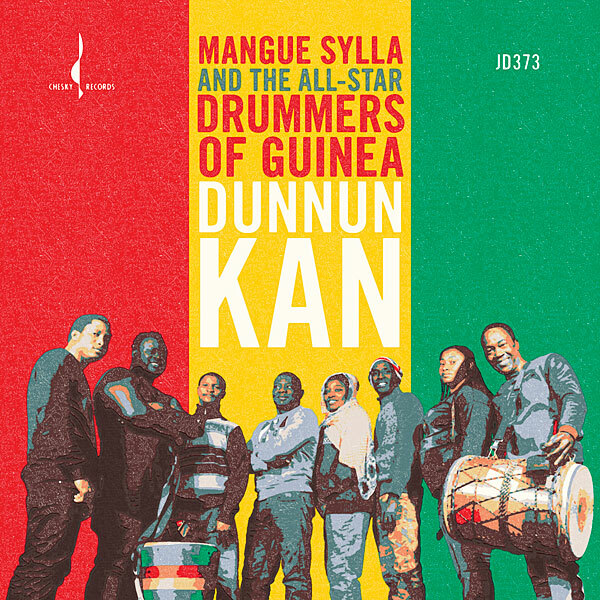 Here, on Dunnun Kan, Sylla and his ensemble play so seamlessly that they become instruments themselves, played by something greater than their obvious musical mastery, almost otherworldly. You can hear the long history of Guinea’s percussion masters who’ve played these instruments for decades—even centuries—before Sylla (and presumably they’ll be played long after Sylla as well). Every beat is a journey of timeless sound that began long ago in Guinea, and continues throughout every track on Dunnun Kan, captured in time, like a photograph taken 100 years ago. Still, you need not be versed in African history, the native Guinea drumming styles or the instruments that make this music so unique for Dunnun Kan to move you. At a time when the world is full of distractions, Mangue Sylla offers listeners a necessary escape through the rhythmic focus of Dunnun Kan—it’s a tempo respite from the busy world around us and an invitation to something more, something bigger than our everyday lives. Like a pulsing reminder that the present moment is all we really have, it weaves us around and through the human heart and spirit and into that space that’s both here and now and everywhere else all at once. It’s more than just a drumbeat, it’s the rhythm of life. Anybody have any favorites to spend that 25% on (preferably newer stuff)?